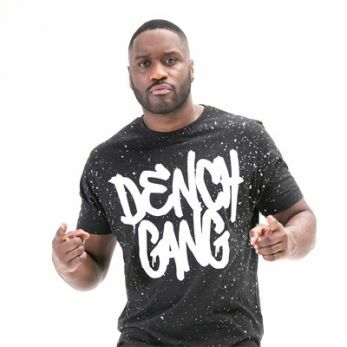 Grime stalwart Lethal Bizzle will be returning to the UK this year with his highly anticipated ‘Denchchat Tour’ in October 2015. The news follows the announcement of his addictive new single ‘Fester Skank’ which will be released in April via Virgin/ EMI. Lethal Bizzle first exploded onto the British music scene in 2003 as part of More Fire Crew, whose debut single, the Garage anthem ‘Oi’, charted at no. 7 in the UK singles charts. Since then as a solo artist he has released three albums and twenty singles, including the Grime anthem ‘Pow (Forward)’; become a MOBO award winner; and embarked on two sold out headline tours in addition to supporting the likes of The Enemy and Babyshambles on tour, performing regularly on the UK festival circuit and appearing at the final Live 8 concert in 2005. Alongside his career as an MC, Bizzle has graced the silver screen (with a cameo role in the film Adulthood), and proved himself to be a thriving entrepreneur, with the founding of his own imprint Dench Records, the launch of clothing line Stay Dench with ex-Arsenal footballer Emmanuel Frimpong, and the international expansion of his Dench Party club nights. Following his huge tour last year, Bizzle’s new ‘Denchchat Tour’ will see him play five live dates across some of the UKs major cities. Renowned for his high paced energetic performances, prepare for an unforgettable show.